Well this is the last post before Photoshop World next week and I thought I’d talk about one of my new favorite areas and that’s making Panos. 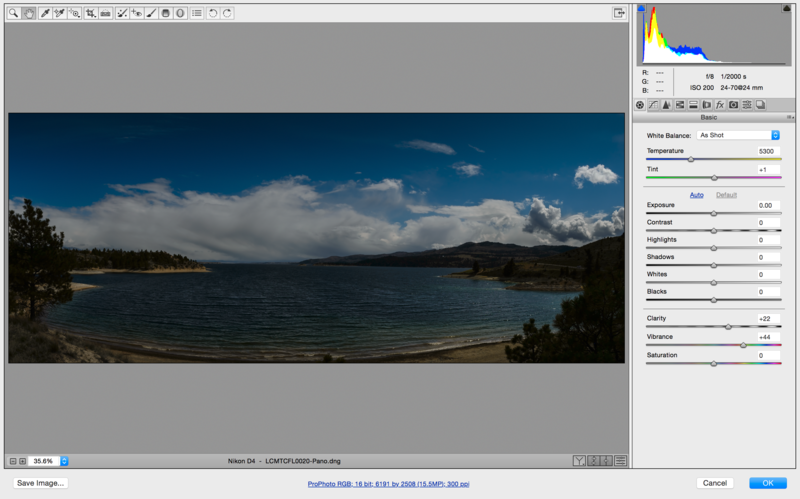 With ACR 8.4 it’s now possible to select multiple images in ACR, combine them into a pano, then do the final touches. At first I thought this would just be fun but I have found that it’s actually a money maker! Here’s a pano I made of Canyon Ferry Lake a few months back. It’s a simple 2 image pano that I already assembled and now it just needs the final touches. As you can see the image is a little bland, in part because I was trying to reduce the highlights by underexposing, knowing full well I could bring out that detail in post. Here’s the breakdown of how I finished the image. Notice that the whites, shadows and highlights sliders are moved over quite dramatically. 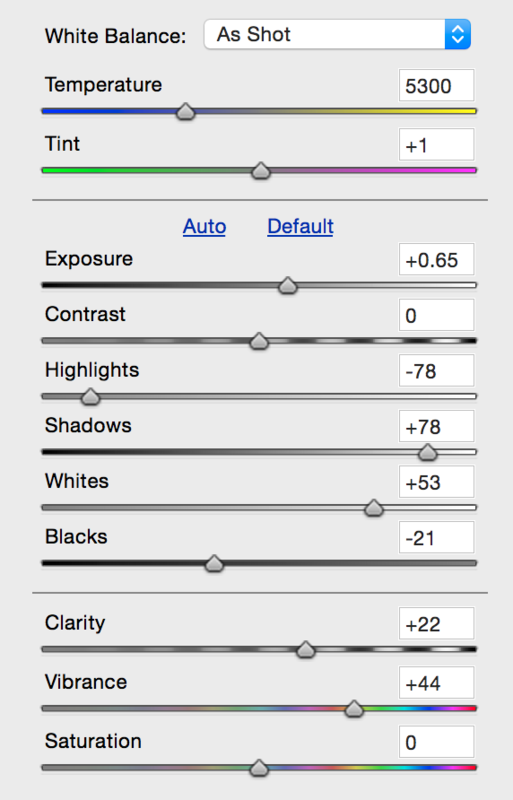 That’s because those three sliders effect a whole lot of the image without effecting certain areas. You might be asking why not just bring up the exposure more then I did? Well exposure effects more then just how bright the image is and can create some bad highlights and ruin the shadows. This is where just moving the white slider and shadow can help control those areas without over doing it. As you can see by the final result, a few sliders is sometimes all it takes to finish an image.